Need to remove dirt or waste from your site? 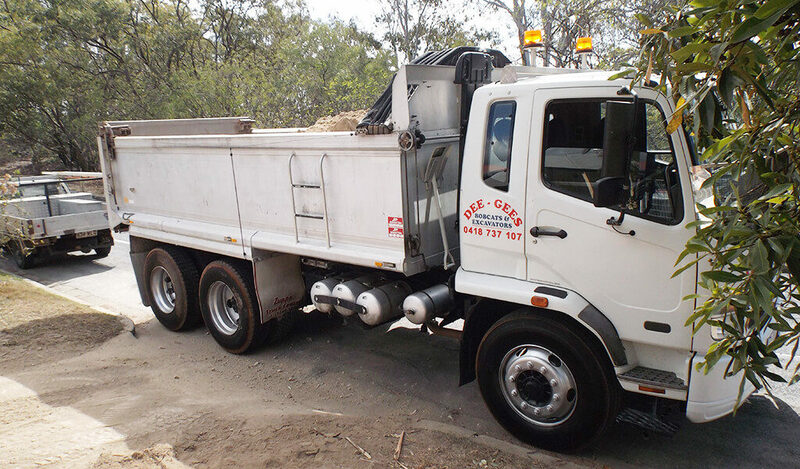 Dee Gees Bobcats provides tip truck and mini tipper hire at cost-effective rates to ensure everyone can access the right solution for their project. When you choose Dee Gees Bobcats for your tipper hire needs, included in our tip truck wet hire service is the 10m tip truck or 6m mini tipper, an experienced operator with current tickets and licences, all the safety documentation required and insurance. Contact Dee Gees Bobcats to get a free tip truck hire quote today. Why choose Dee Gees Bobcats when you need tip truck hire? When you need tip truck hire for a construction, landscaping, cleanup or roadworks project, choose Dee Gees Bobcats. 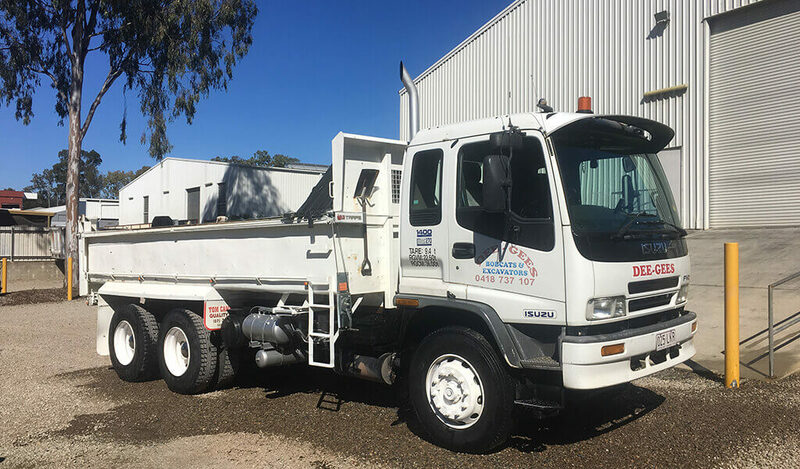 We’ve been providing tip truck and plant machinery hire for over 30 years and have the fleet, machinery and team to provide professional and efficient 6m mini tipper and 10m tip truck hire services at competitive prices. Whatever your project requirements and site access points, our experienced and licenced operators will carry out all work safely, professionally, on time and on budget. As a leading earthmoving plant hire company servicing all areas across Brisbane, Ipswich, Coomera, Pimpama, Ormeau and Tamborine, Dee Gees Bobcats also provides bobcat and earthmoving plant hire services. Need a quick quote for tip truck or mini tipper hire? Contact Dee Gees Bobcats here or call us on (07) 3375 5315.